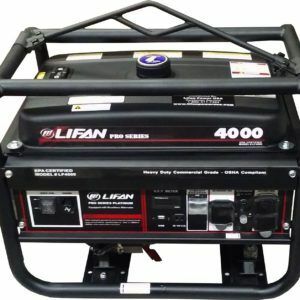 LIFAN Power USA Professional Series Portable Generators were our initial portable generator line. 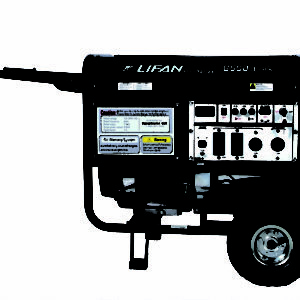 Our Professional Series Portable Generators have had great reception in the commercial sector. 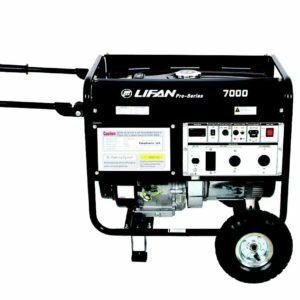 The quality of the Professional Series Generators prompted a call to expand the portable generator line, with the same high quality in mind. 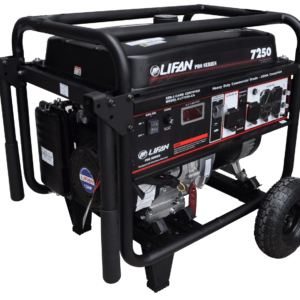 Most of our Professional Series Generators include Never-Go-Flat wheels allowing easy transportation. CARB Approved models Available! 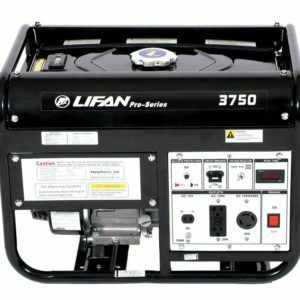 We fully support our Professional Series Generators with our Warranty Policy. The performance difference between copper and aluminum coil windings lie in the physical and resistance properties between the two materials. Copper is a more efficient conductor, able to transmit the same current with less cross section area to do the same job. Aluminum has a lower mass than copper and the aluminum wire, with its larger cross section area, is not as efficient as copper. Well-designed enclosures usually give better performance with copper windings in both quality and output than aluminum. This means it takes more power to reach optimal efficiency with aluminum.